You Air Ducts Need To Be Cleaned On A Regular Basis - Air from dirty ducts affect your health, but it affects your wallet, as well. Having clean and efficient air ducts will lower the cost to cool or heat your home. Air from dirty ducts affect your health, but it affects your wallet, as well. Having clean and efficient air ducts will lower the cost to cool or heat your home. Spring is here – And so are your allergies. Forget to clean your nightstand for a few weeks and the layer of dust that will accumulate will not only be noticeable, it will be unhealthy, as well. 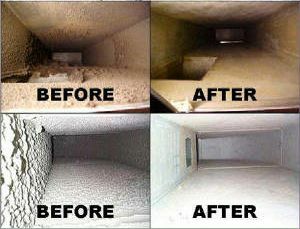 Forget to have your air ducts cleaned regularly and… Well, you get the picture. Not only does the air from dirty ducts affect your health, but it affects your wallet, as well. Having clean and efficient air ducts will lower the cost to cool or heat your home. The Department of Energy notes that 25% to 40% of the energy used by your air conditioning is wasted, costing at least $300 per year. For more information, please visit DirectAC. Miami’s heat can be unbearable and sometimes unpredictably scorching, so make sure to get prepare before those hot summer months. Here are the best ways to prepare for the Miami summer heat. Direct AC earned the service industry’s coveted Angie’s List Super Service Award, reflecting an exemplary year of service provided to local services marketplace and consumer review site in 2014. Master Cleaning's Duct Cleaning Services is the Broward Counties one of the top choices in commercial and household duct cleaning service.